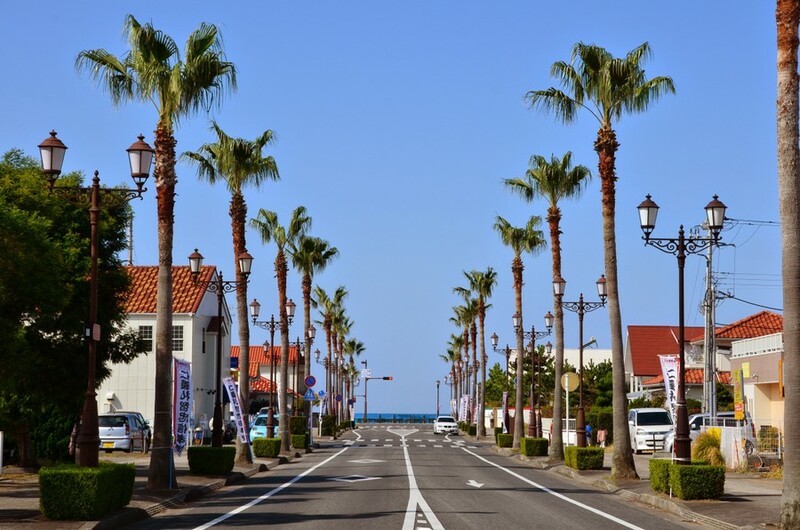 Tateyama (館山市) is a small city located on the southern part of the Boso Penninsula in Chiba Prefecture, facing the Pacific Ocean to the east and south, and the entrance to Tokyo Bay on the west. 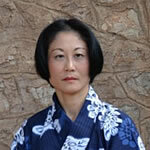 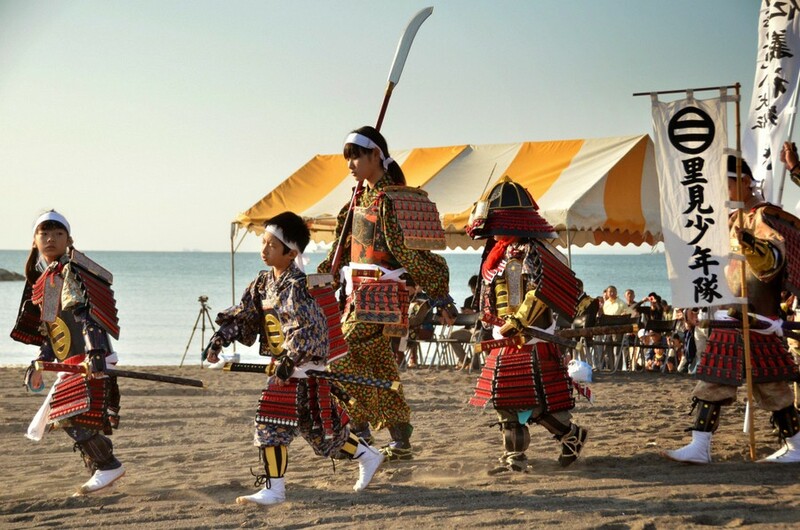 It is a popular beach destination for Tokyoites. 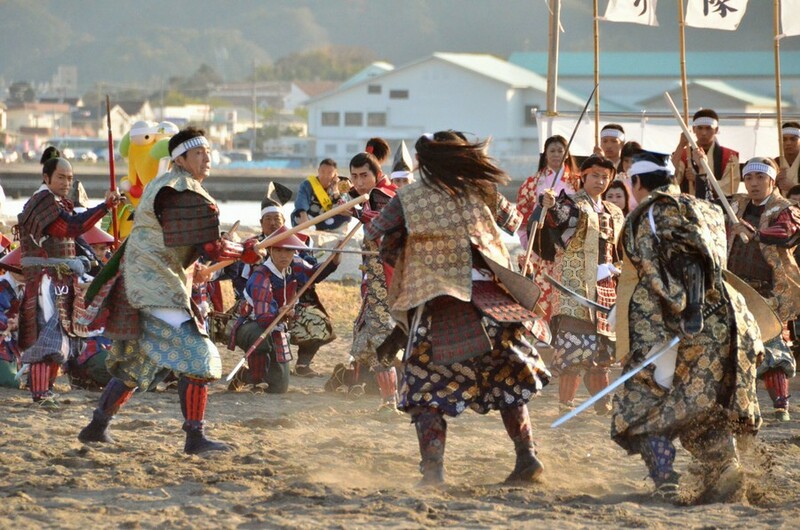 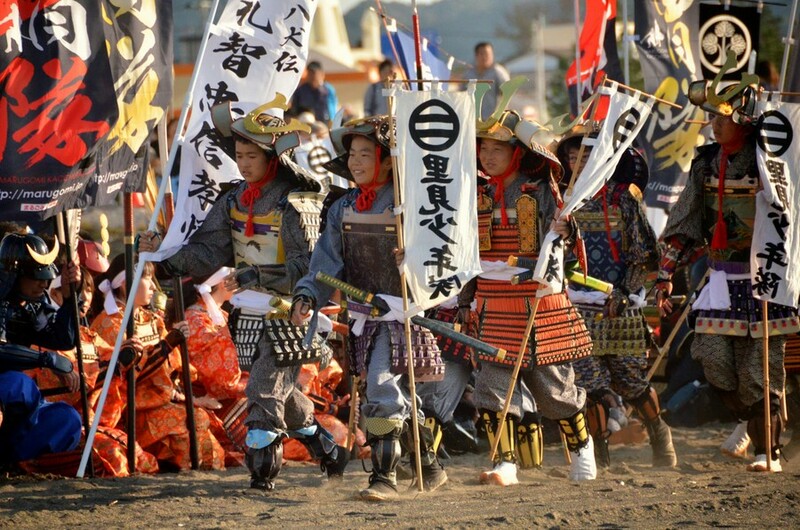 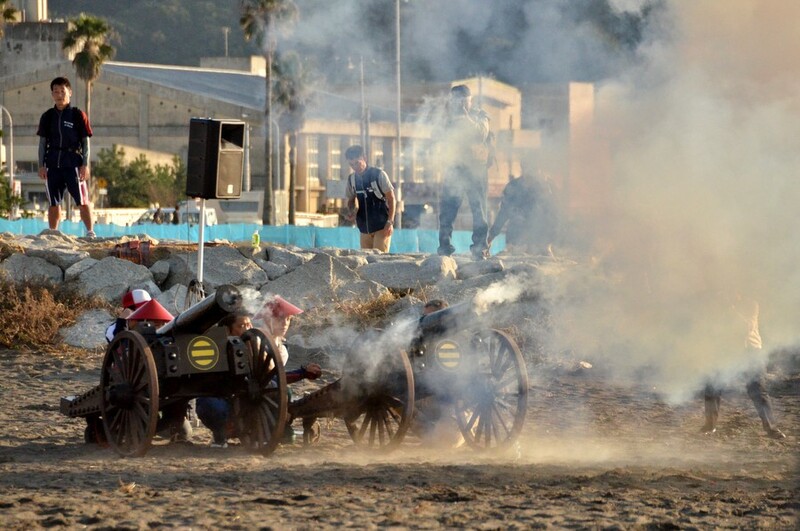 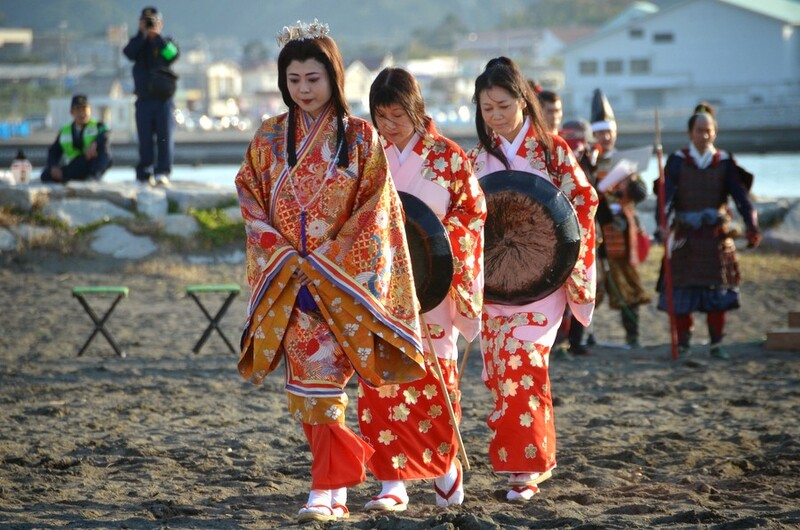 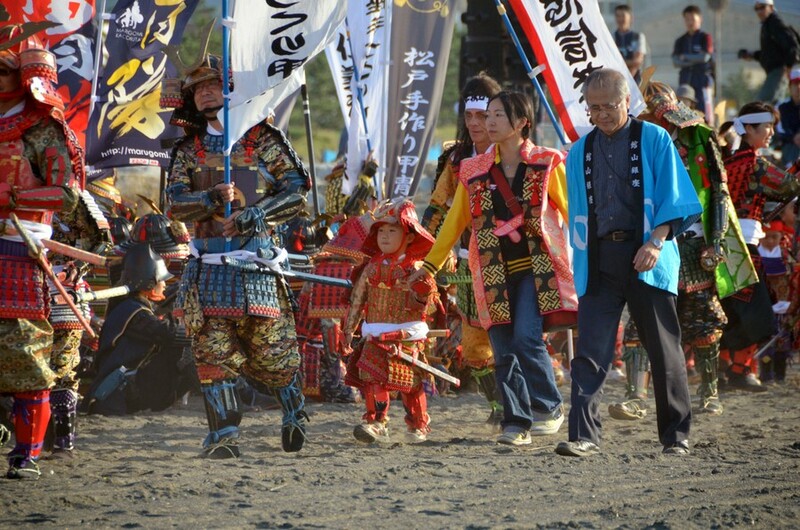 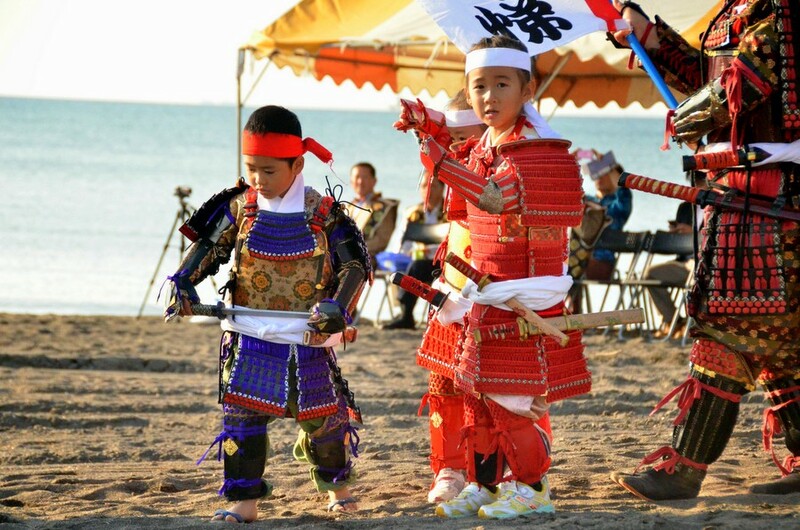 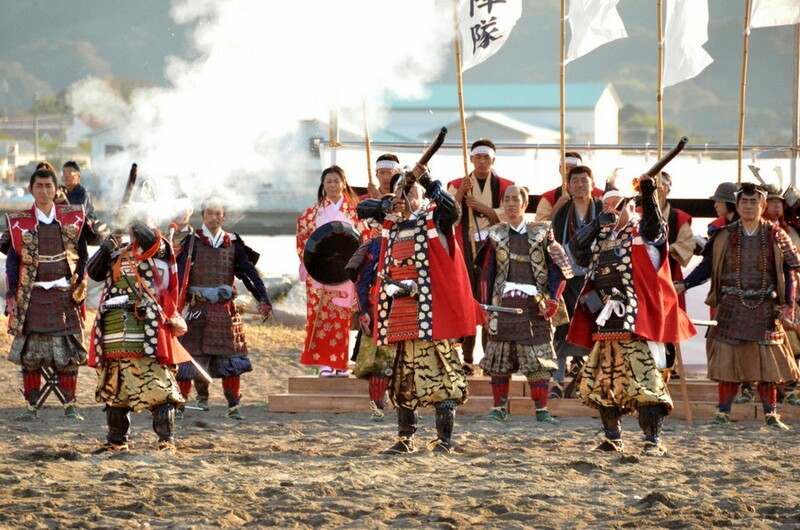 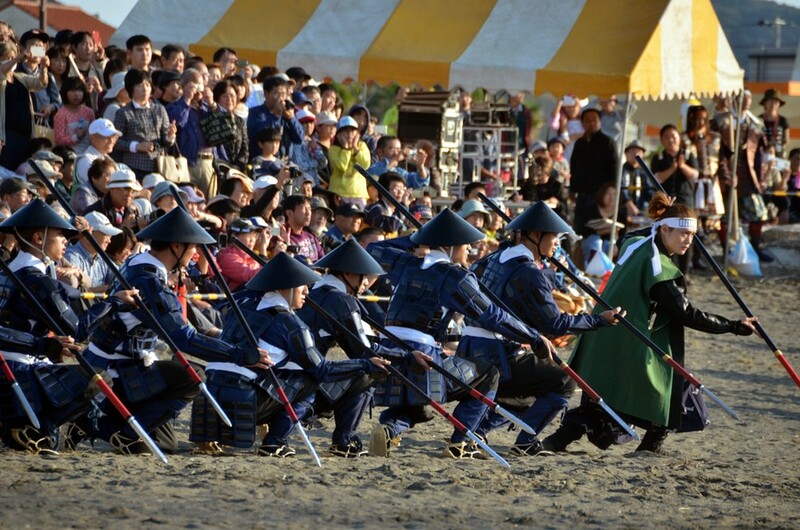 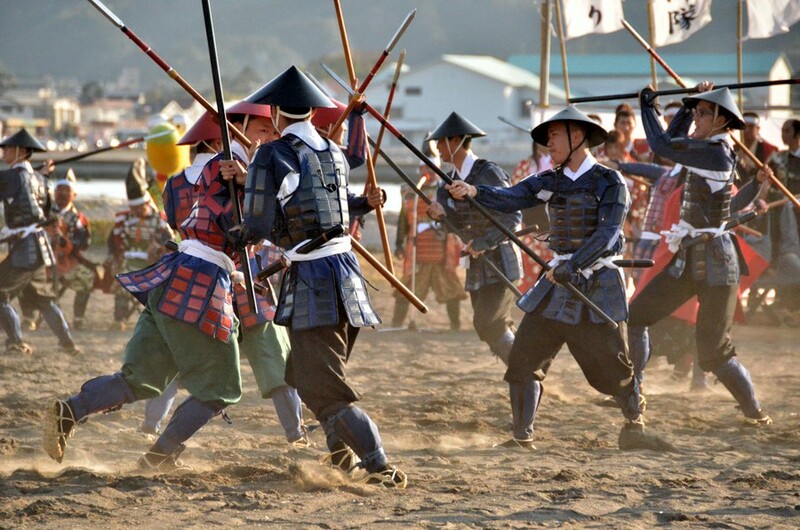 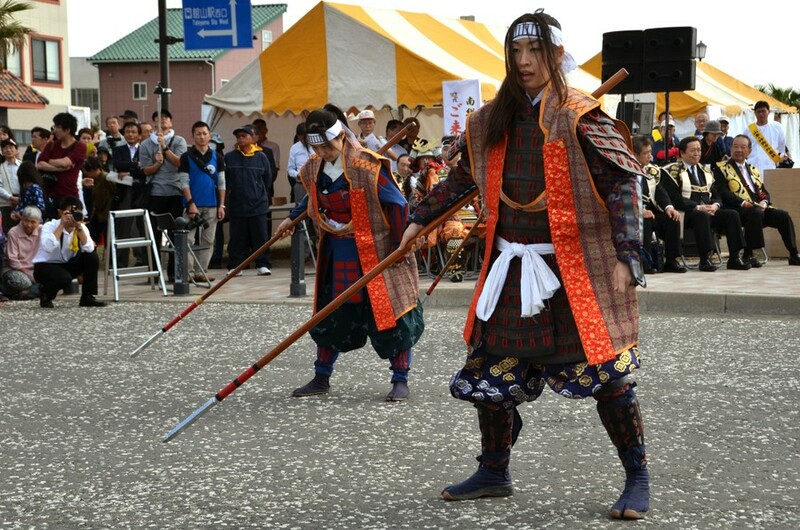 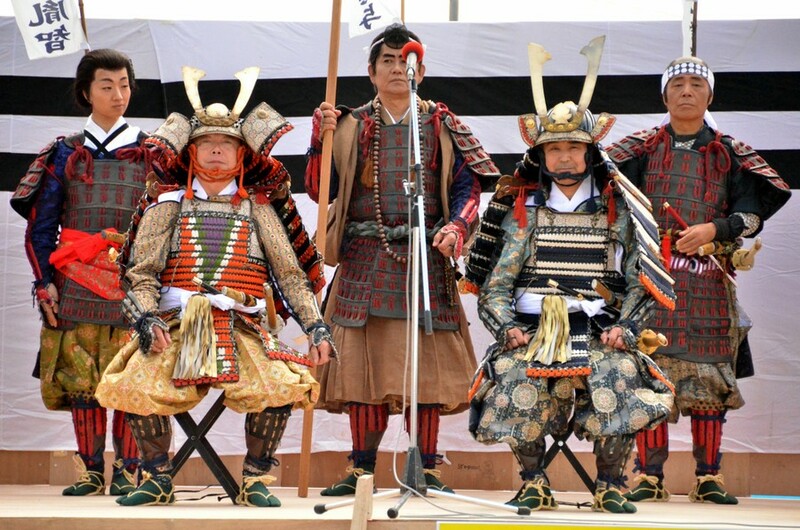 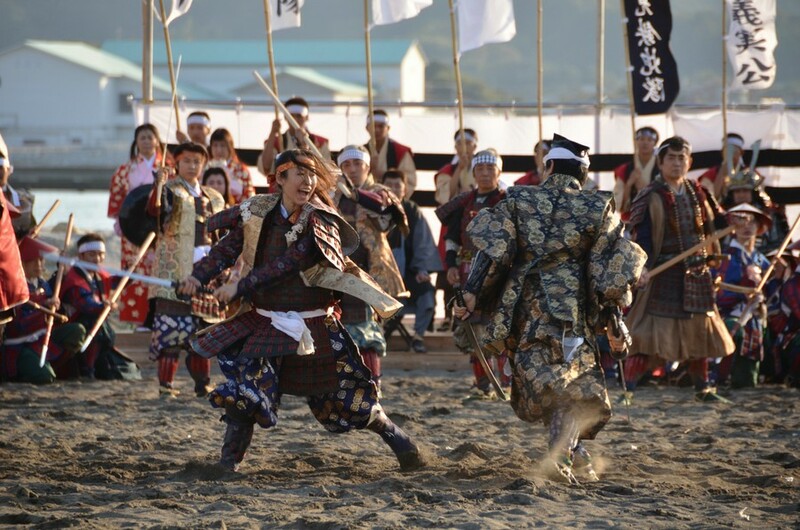 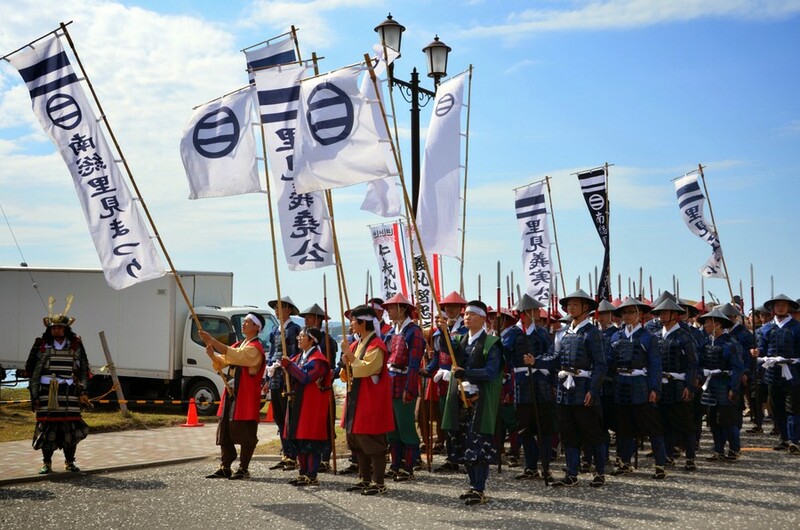 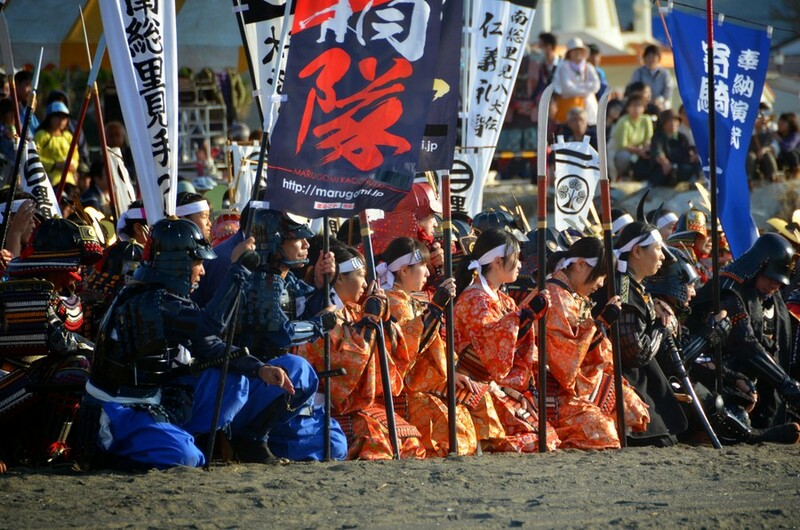 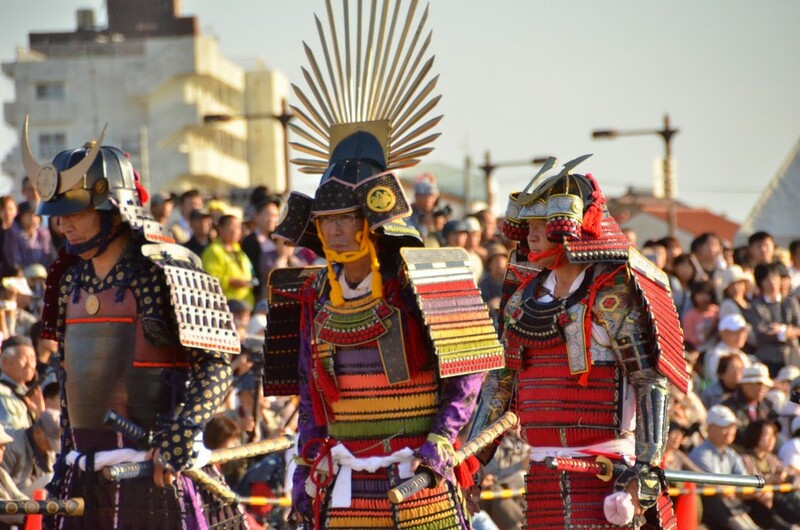 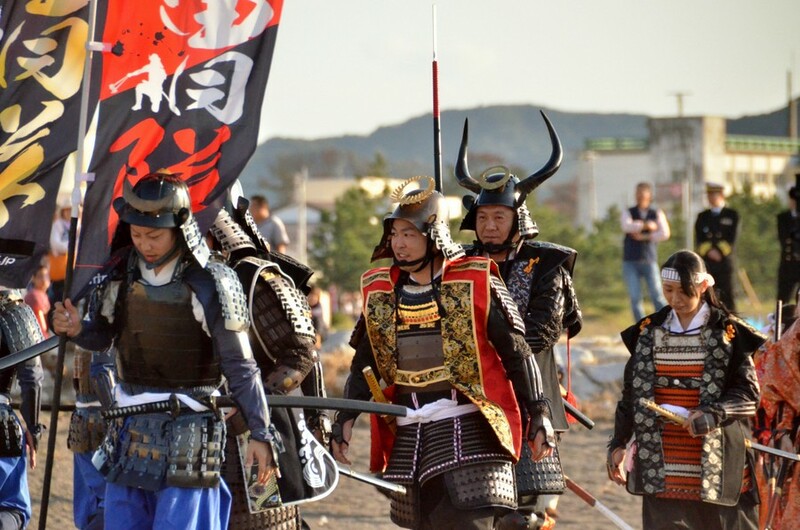 On the third Sunday of October take place the “Nanso Satomi Matsuri”, a festival which reproduces a “Warring States battle”, performed after the warrior procession of the Satomi clan during Japan’s Sengoku period. 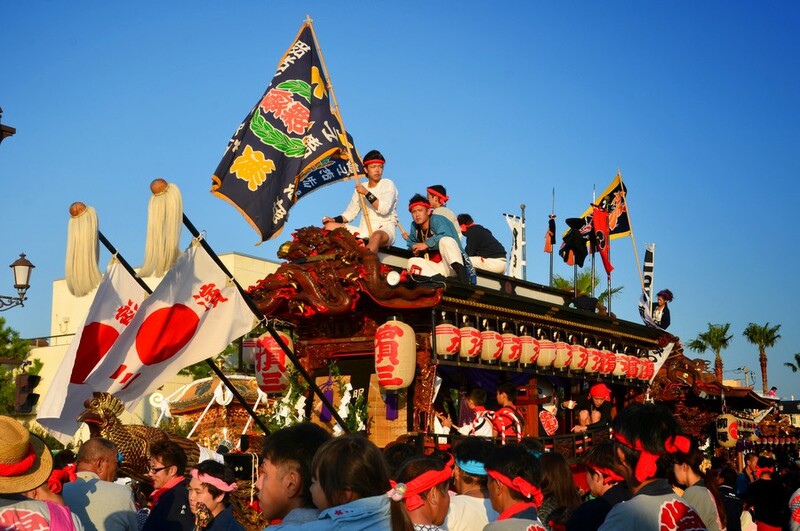 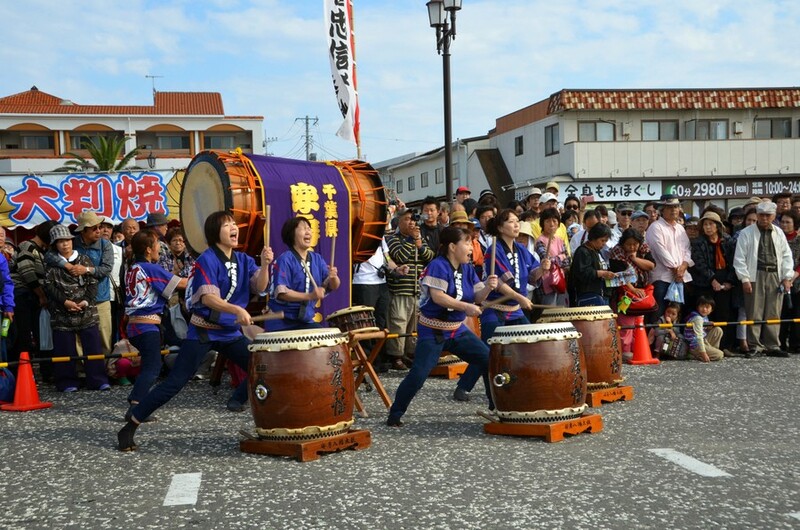 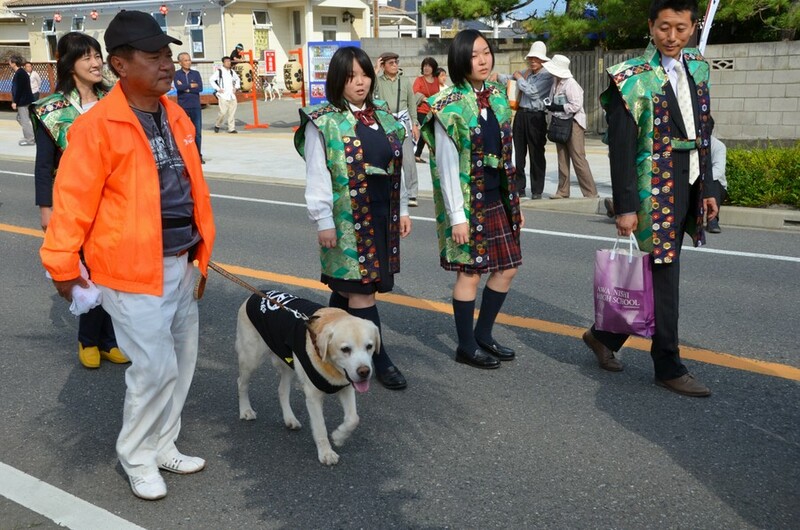 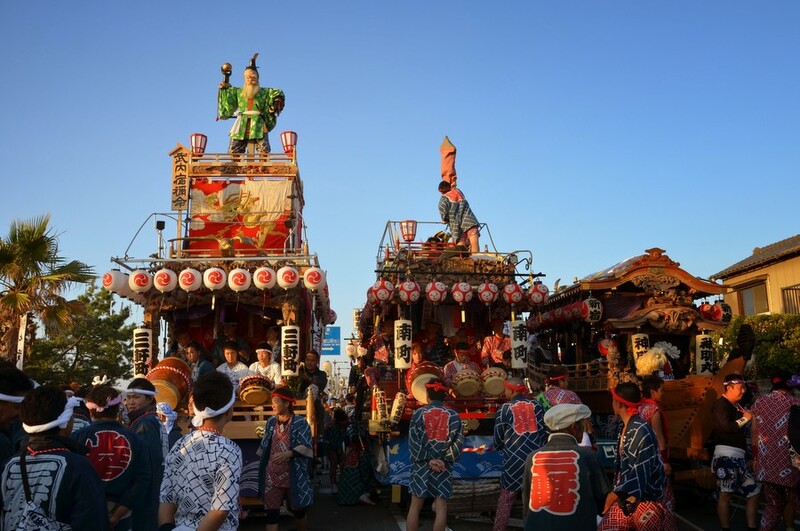 The parade moves from JR Tateyama station to Shiroyama park and is adorned with many floats and Mikoshi shrines.